Your child's happiness and steady development are a priority to us at Kids Can Doodle, just like it is to you—the parent. We see and nourish the potential of every child who's in our care, welcoming all kids from birth to 12 years to join our fun, engaging and progressive programs and activities. Licensed by the Ministry of Education annually, we undergo public health inspections 3 times a year to ensure your child's health and safety. 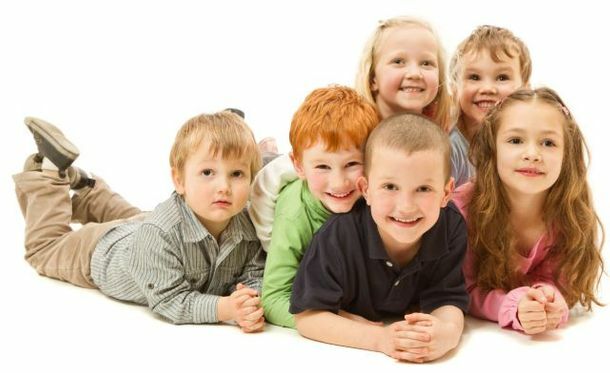 We take pride in providing quality daycare for fees your family can afford. Our trained and certified early childhood educators, who have passed careful medical reviews and police background checks, give their time, attention and hearts to our little pupils. We're proud of our low staff turnover rates, and we make a strong and experienced team that will teach, play with and nurture toddlers, preschoolers and pre-teens. The most cherished member of the team—our full-time cook—prepares hot and healthy meals every day to keep the kids full of energy during their activity-packed days. Kids Can Doodle has been a fantastic experience for us and our child. The teaching staff is loving and knowledgeable, and my child looks forward to coming every day! Kids can rarely sit still, and nobody at Kids Can Doodle thinks they should! Whenever the weather permits, we encourage kids to spend time outside in our half-acre playground surrounded by beautiful old trees. If it's too cold or too wet to go outside, kids play, exercise and develop gross motor skills in our supervised, well-equipped indoor gym. We invite you to check out our gallery, or visit our facility to see how much space there is to play tag, skip rope and catch balls. Please note that we strictly adhere to a no-nut policy, which means that outside food is not permitted on our premises, unless it's in the original packaging with the ingredients clearly labelled. Thank you for your cooperation!